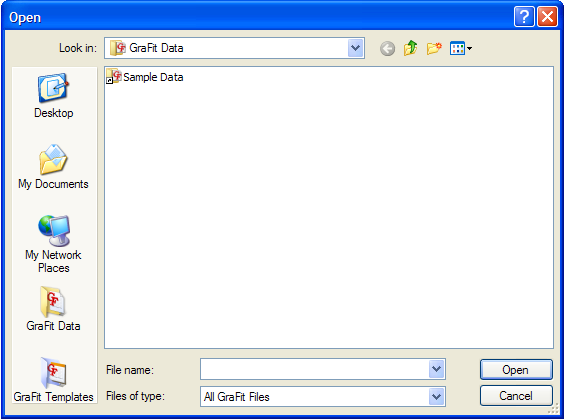 GraFit 6 offers integrated selection of GraFit-specific file locations, including "My GraFit Data" and "My GraFit Templates" directories. 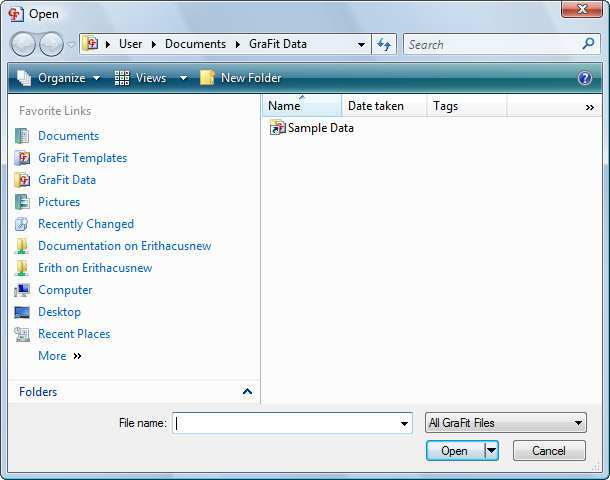 On Microsoft Windows Vista, GraFit also uses the enhanced Vista-specific file dialogs that have common "Favorite Links" and built-in file searching. 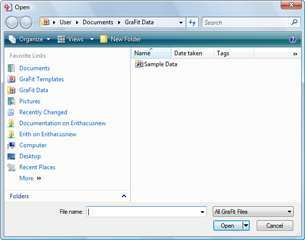 File Open dialog box (Windows Vista). 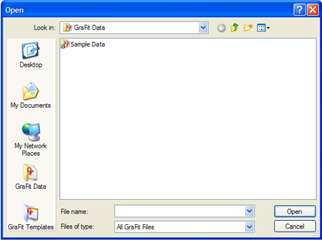 File Open dialog box (Windows XP).